hot beverage with a set of 4 Penguin Mugs. These adorable and amusing mugs are made of sturdy porcelain and are perfect to help keep you warm this winter whether your poison is coffee, tea, hot cocoa, or a bit of broth. You could even make yourself a nice penguin toddy. A set of 4 means that the whole family can join in. 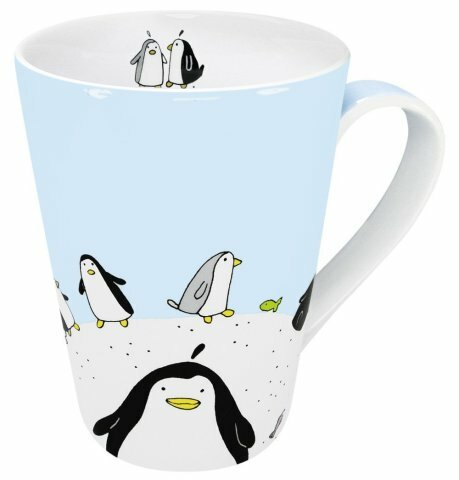 This is a great gift idea for penguin lovers! To order a set of Penguin Mugs for yourself or as a gift, click here.